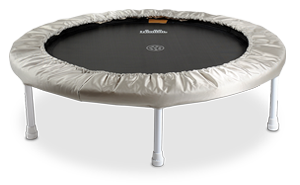 Suitable rebounder for the entire family from toddlers to adults. 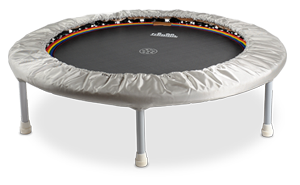 Combines a soft landing with active-dynamic rebound and a high fun factor. Due to its large diameter of 120 cm it is also ideally suited for exercises lying down on the back or together with a partner. Equipped with specially coated, very durable rubber cable. Its superior quality characteristic is the high extensibility and elasticity, which is the secret behind the superb Trimilin bounce quality: Active-dynamic rebound and very high fun factor. 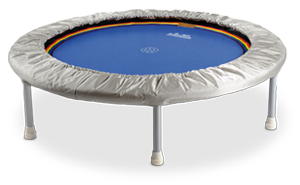 soft swinging and moving on the rebounder activates and mobilizes joints and spine.